Pages are the backbone of your website, and most likely you will setup several of them. Pages are a blank canvas that allow you to add content with our shortcode elements. There are different page templates to choose from, each serving a purpose to help you build a finished site. Creating a page has been never so easy. To start, go to Pages > Add new. 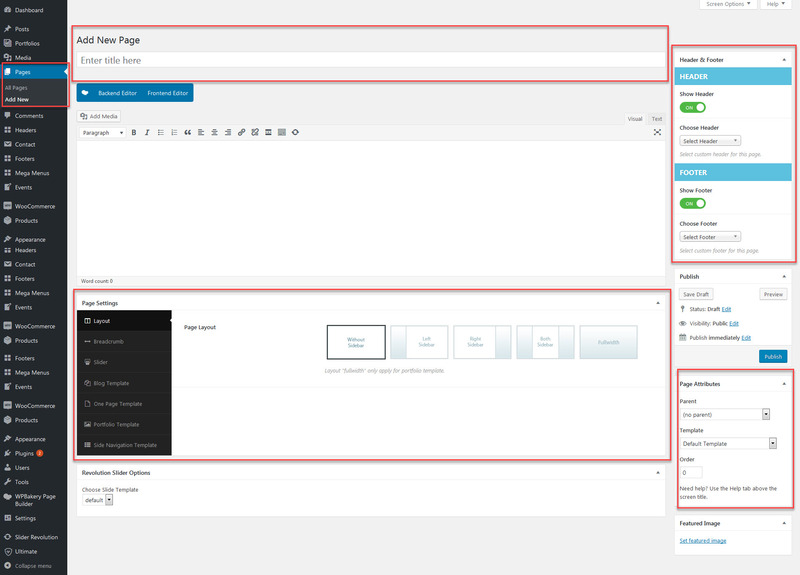 At first glance everything looks like the WordPress default,but when look in the Visual/HTML area you will see Page Options. You can create any number of pages with content. CryptApp includes several page templates to choose from, and you will need to choose the page template that suits your needs. All of this is done in the pages section of your WordPress admin. Step 1 – Navigate to Pages in your admin sidebar and click Add New option. Step 2 – Input a new name for your page, then find the Page Attributes box on right side. Step 3 – Set your Parent page. It’s usually set to No Parent. Step 4 – Set your page template from the Template dropdown list. See list of page templates below. Step 5 – Select any number of page options in Page Options box. Step 6 – Content for your page goes in the editing field, use the Visual or Text editor. Page content is mainly built using Shortcodes. See the Shortcodes section for how to use them. You can also use our demo content, see the corresponding section of this document for the demo code of each page.